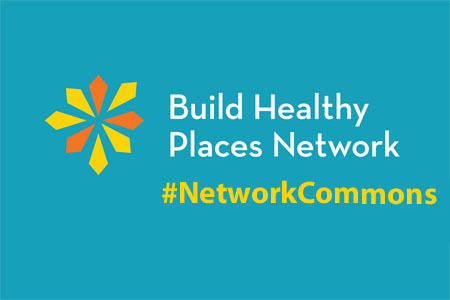 At Network Commons, three field leaders discussed the early childhood-neighborhood connection and the role for community development in supporting the health and well-being of children and their families. There is ample evidence that ZIP code is important for children’s health, but how can community development best support the needs of children and their families? Three prominent leaders shared their insights and practical tips during our March 15 Network Commons event. Check out the highlights. Missed the event or need a refresher on our speakers’ practical tips? 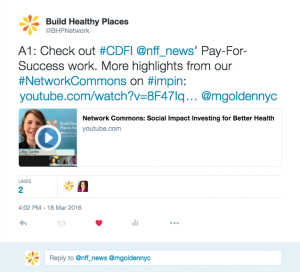 Check out this video recording of the March 15 event on the Build Healthy Places Network’s YouTube channel. Please note that the recording ends at 53 minutes due to a technical issue. Apologies for any inconvenience to our viewers. 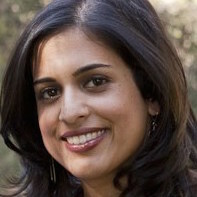 The Low Income Investment Fund’s Social Impact Calculator and a recent video on its investment in the Booth Child Development Center in Oakland. The Harvard Center on the Developing Child’s research on toxic stress and related topics. Continue the conversation. 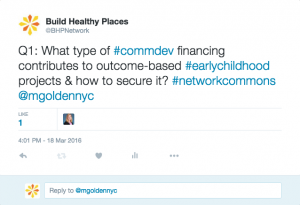 Still pondering how early childhood professionals, doctors, and community developers can work together? We’re continuing to answer these and other audience questions via Twitter @BHPNetwork #NetworkCommons. Join the conversation and tell us what you think!